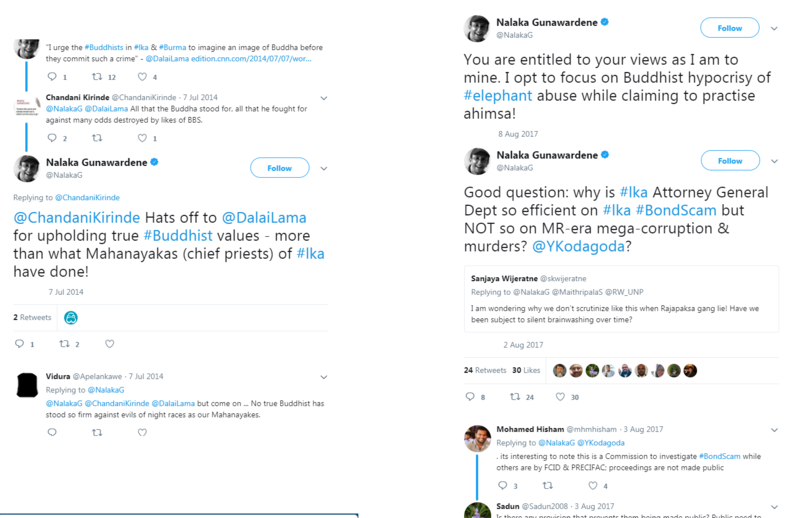 Over the past 8 years, some people have been spreading vitriolic anti-Buddhist and anti-Sinhala messages on social media in a well-organized, systematic campaign to tarnish Sri Lanka. 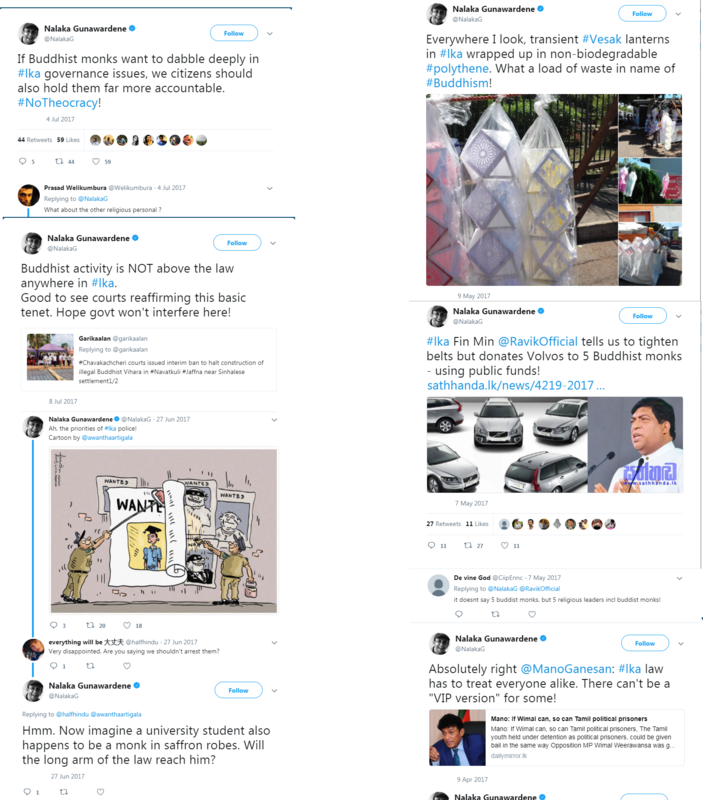 Below is the kind of stuff they write to spread Buddhismphobia and stir racial tensions in the country. 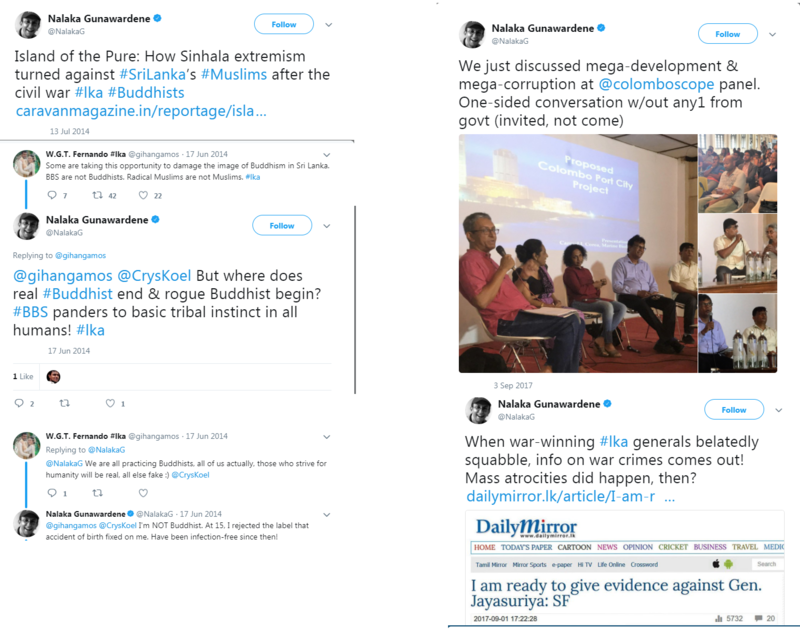 By constantly vilifying and attacking the Sinhala Buddhist civiliazation of Sri Lanka, they are sowing fear in the minds of the minorities and trying to cause Sinhalese themselves to question their history, culture and traditions. 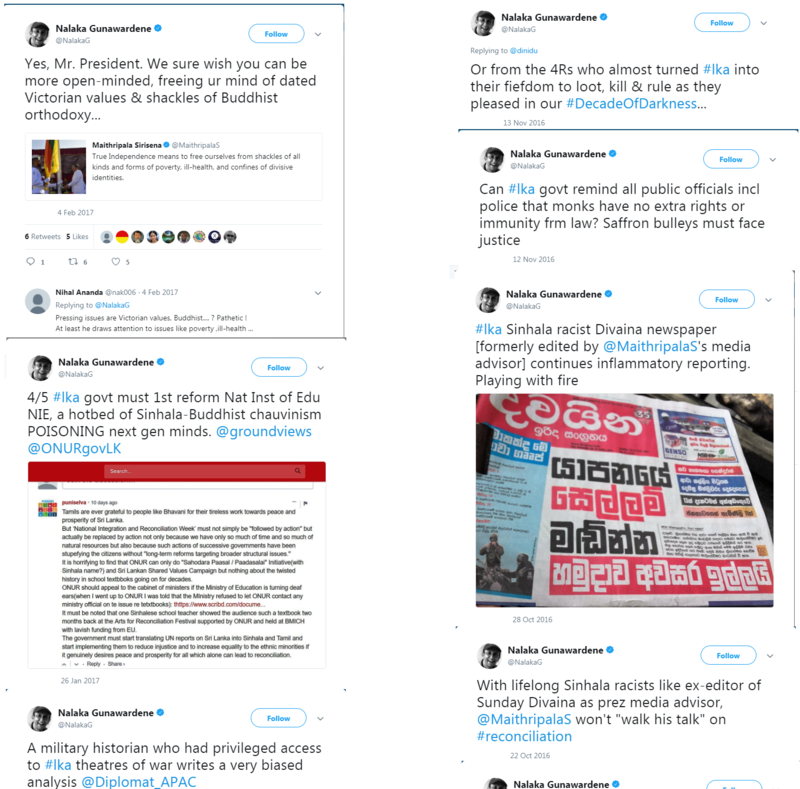 All of this is an attempt to fracture the nation along inter-ethnic lines and cause division within the Sinhala population itself. 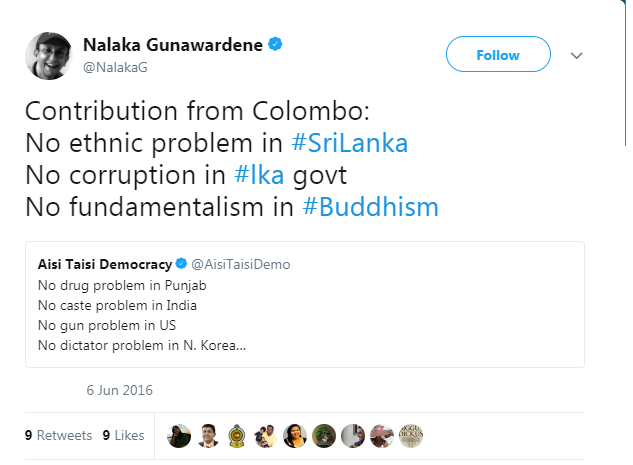 By doing this, they hope to break down society and then call in foreign help to recreate Sri Lanka based on extreme-left Marxist ideals in which the majority are constitutionally suppressed, and so that the whole country functions as a foreign-controlled dominion. Here is a response I received almost instantaneously. 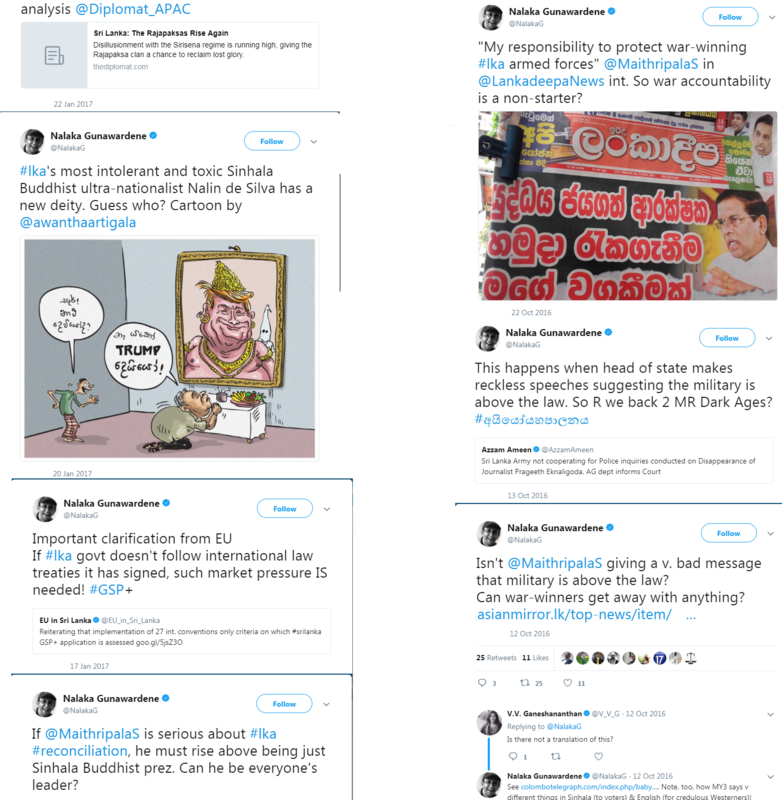 As events began to spiral out of control in Kandy, this account was very quick to blame the problem on Mahinda. This has been a common tactic used by all the anti-national forces too. 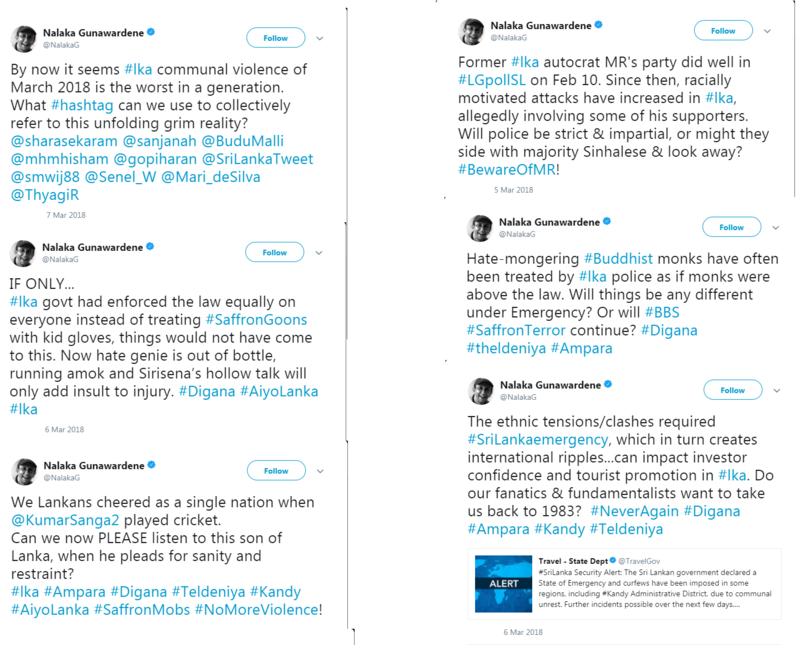 Using tags “Saffron Terror,” “Saffron Mob,” and “Saffron Goon” the account makes it sounds like Buddhist priests and Buddhists are doing the attacks in Kandy Teldeniya and Digana areas, when everyone knows that the culprits are thugs and criminals who the Law and Order Minister Ranil has been extremely slow to act against — for “unknown” reasons. 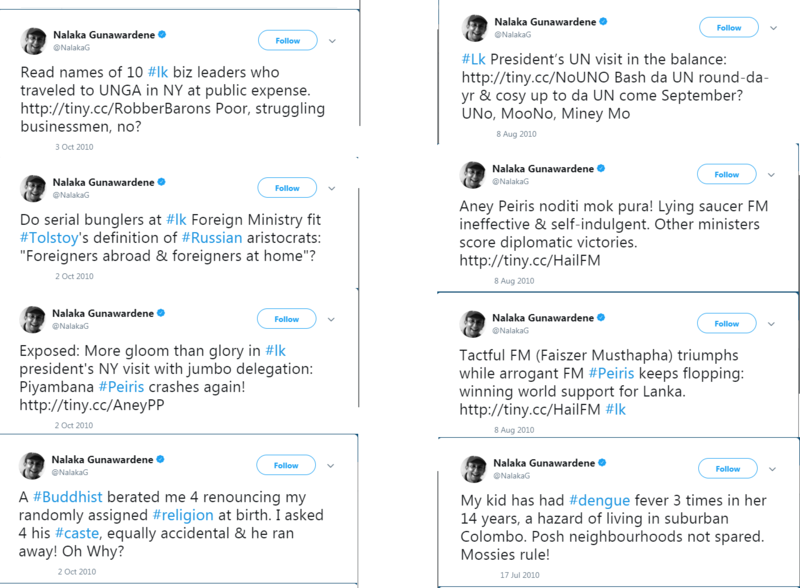 Even back in February, he was quick to associate a democratic election with Nazi dictatorship, and to retweet fakenews that the winning SLPP had attacked Muslims just after the election results were released. 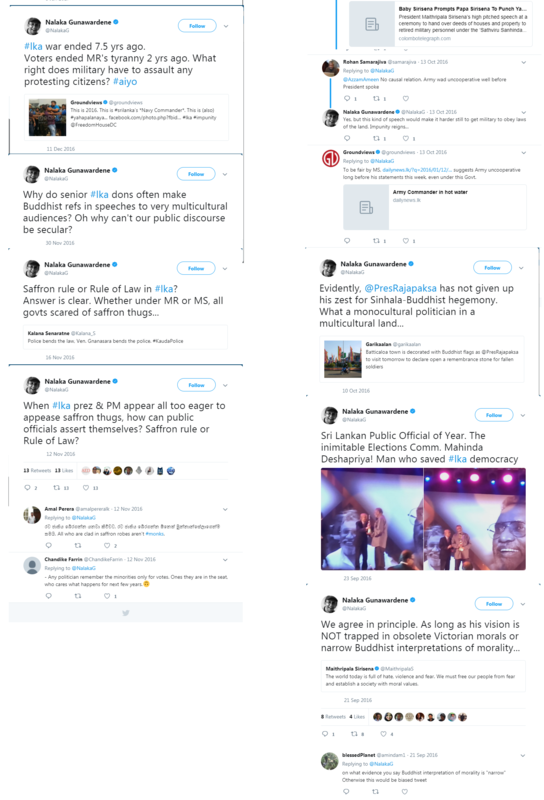 The anti-Buddhist bigotry goes back a long time though. 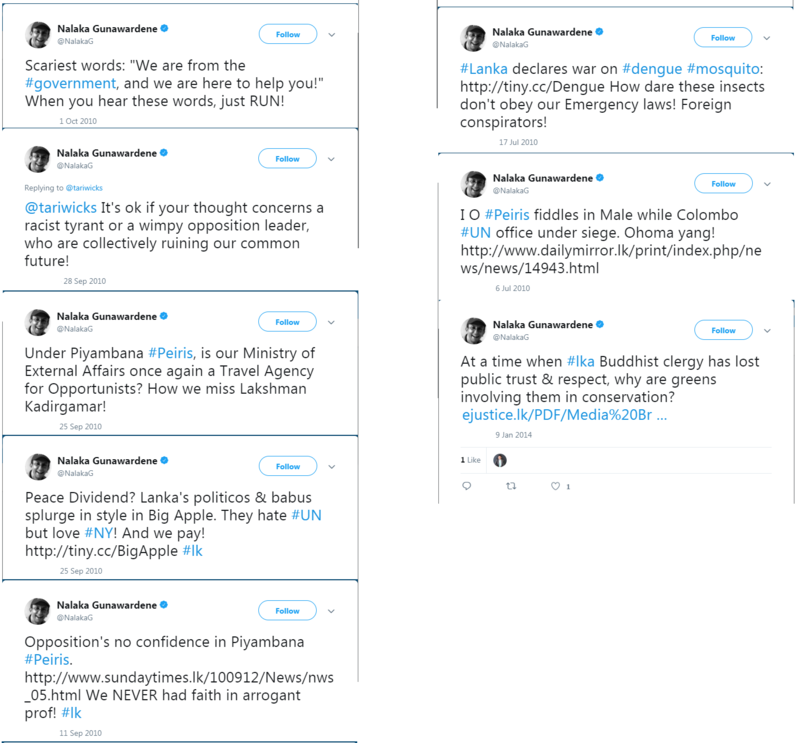 Since the hatred usually covers more than one particular aspect of Sri Lankan life, you will see here some posts that include anti-war, anti-Sinhala media and other kinds of racism. Below you will see messages that are blatantly anti-war. 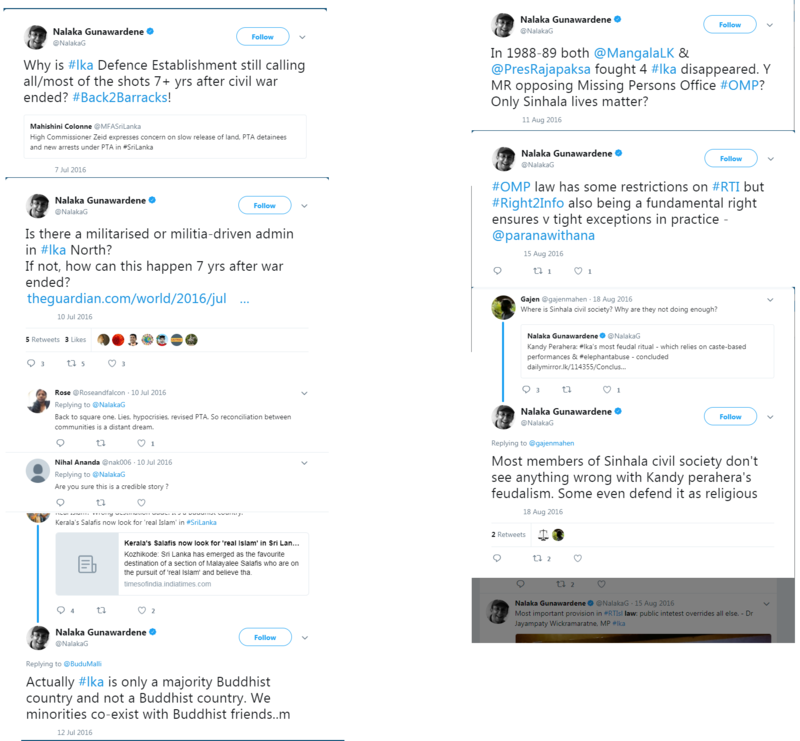 They never acknowledge that there was a vicious Tamil terrorist group that was killing Sinhalese people, as well as Muslims and their fellow Tamils. They never condemn terrorism, but are very happy to condemn celebration of the war Victory. 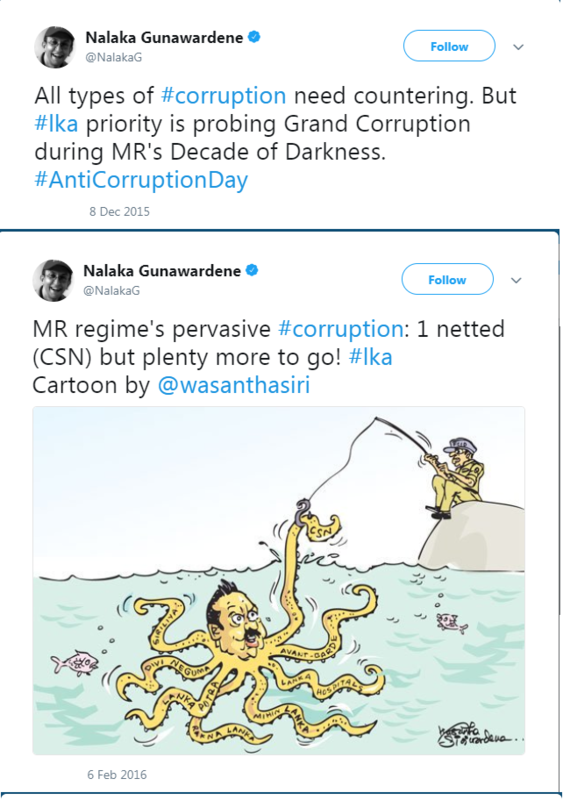 In the following we see spreading fake news about alleged corruption by the previous government, which to this day, the UNP-Sirisena regime has not been able to provide any proof. 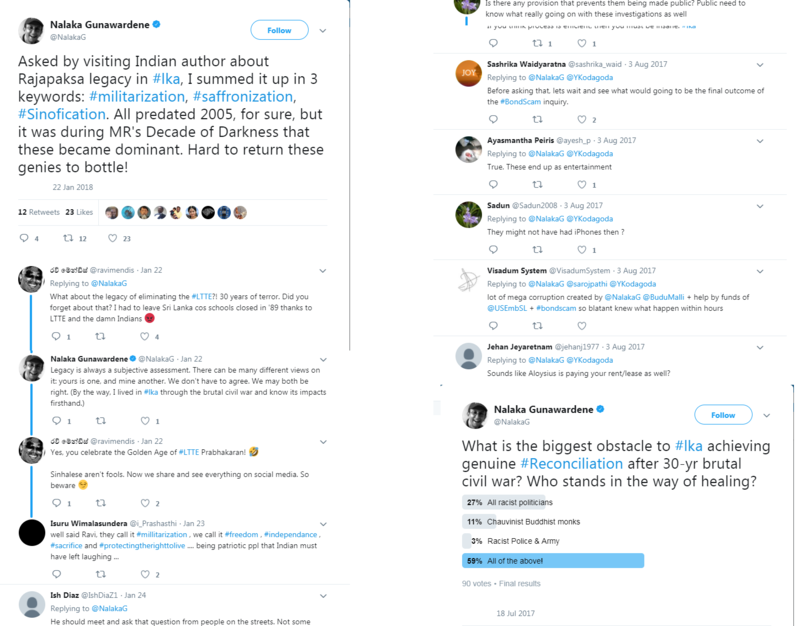 The account’s anti-national sovereignty campaign goes back all the way to 2010. 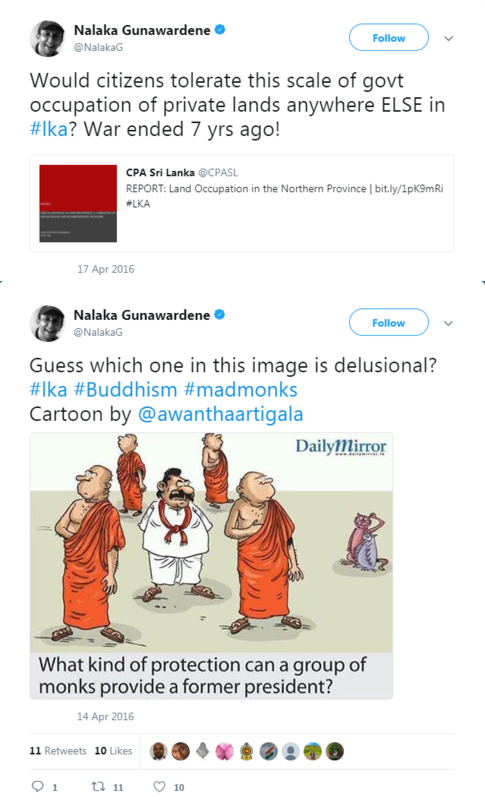 Those days too, the account spreads myths about the government structure of the Rajapaksa administration, and also spreads anti-war victory messages. 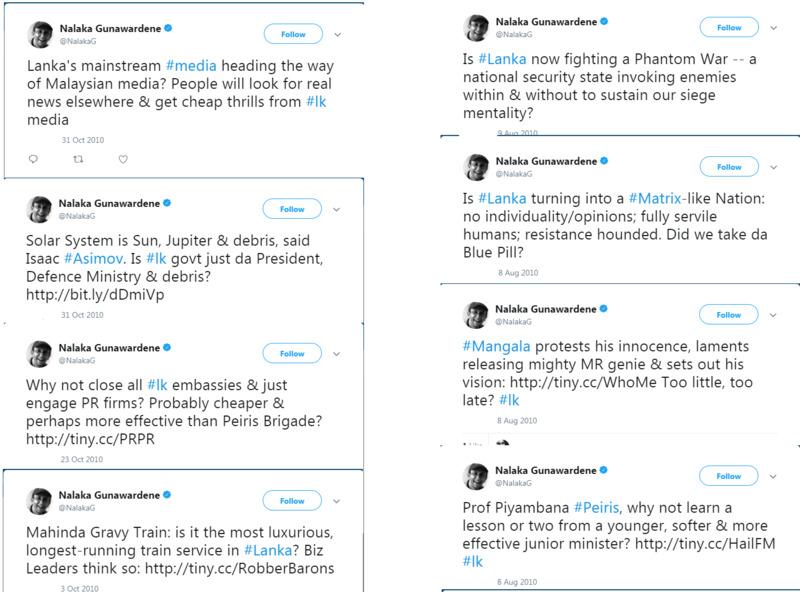 From all this evidence it is clear that this account’s sole purpose is to disrupt Sri Lankan society. It has been trying this for at least the past 8 years, and has been massively active since 2015. It is important that all of us, whatever race or religion we are, fight against this menace. 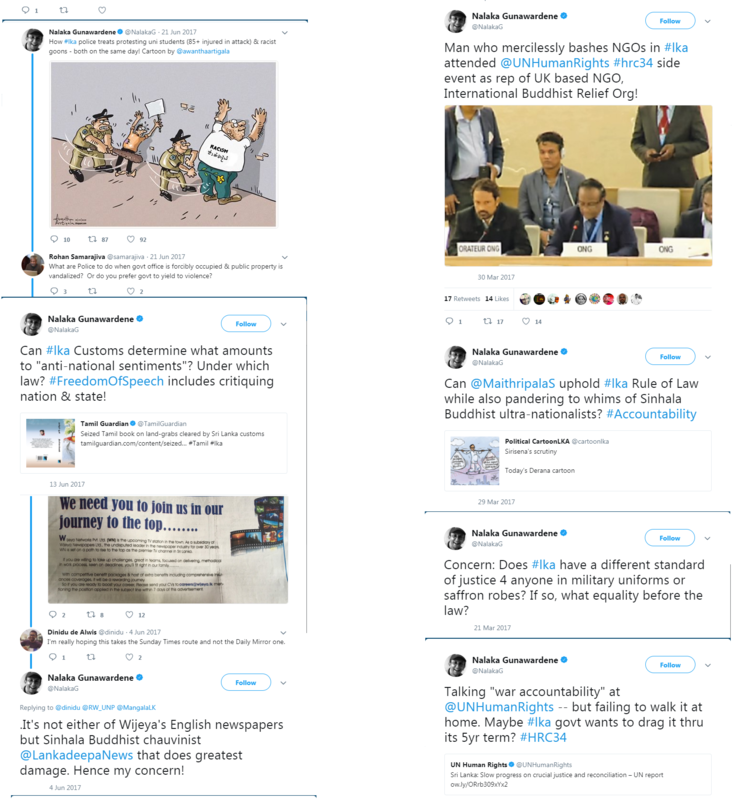 This is why it is of utmost importance to fight against everything this account stands for: federalism, fake war crimes, and the destruction of the Buddhist legacy of our history. 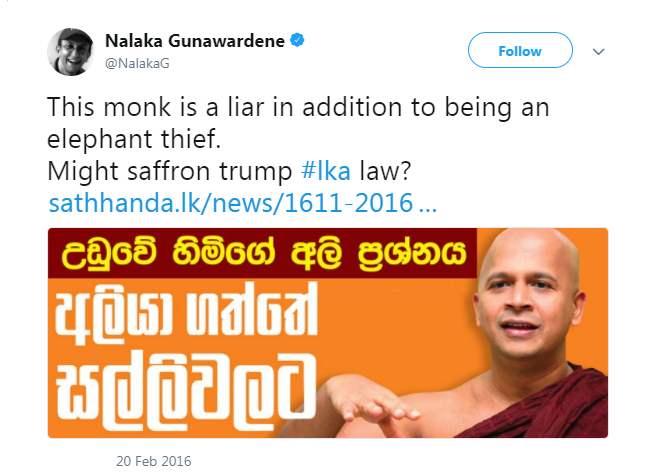 Remember, our ancestors lived together peacefully for hundreds of years under a Sinhala Buddhist Kingdom. It was only since 1505 that we have had race riots, as foreign meddlers have sought to exploit our differences by elevating dangerous, cunning, and vile racists to power. It is since then that we have had ethnic disharmony. 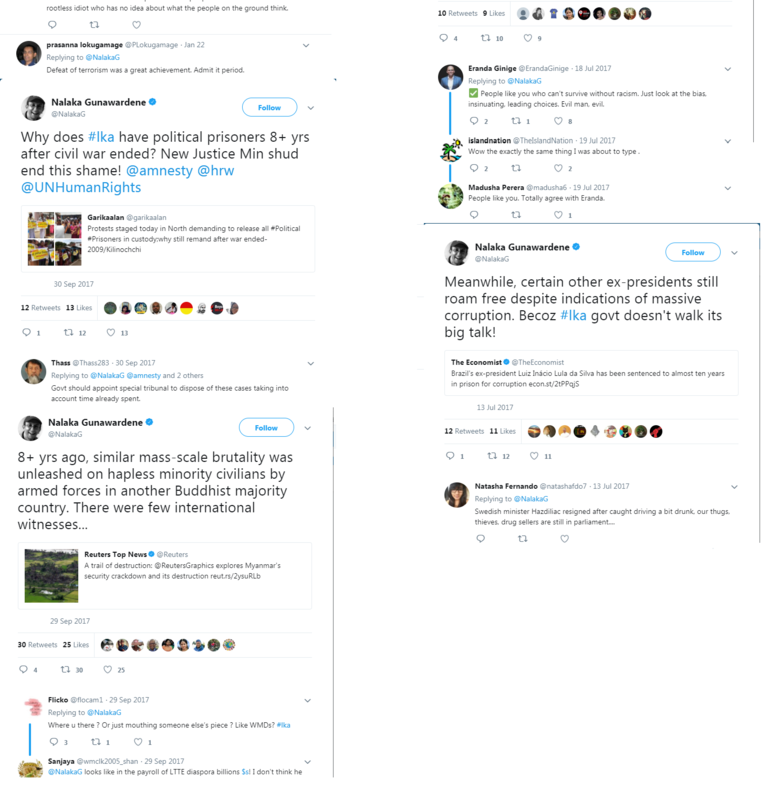 It is people like those who run the above twitter account who were the perfect stooges for the old imperialists. Don’t let these stooges have their way now. 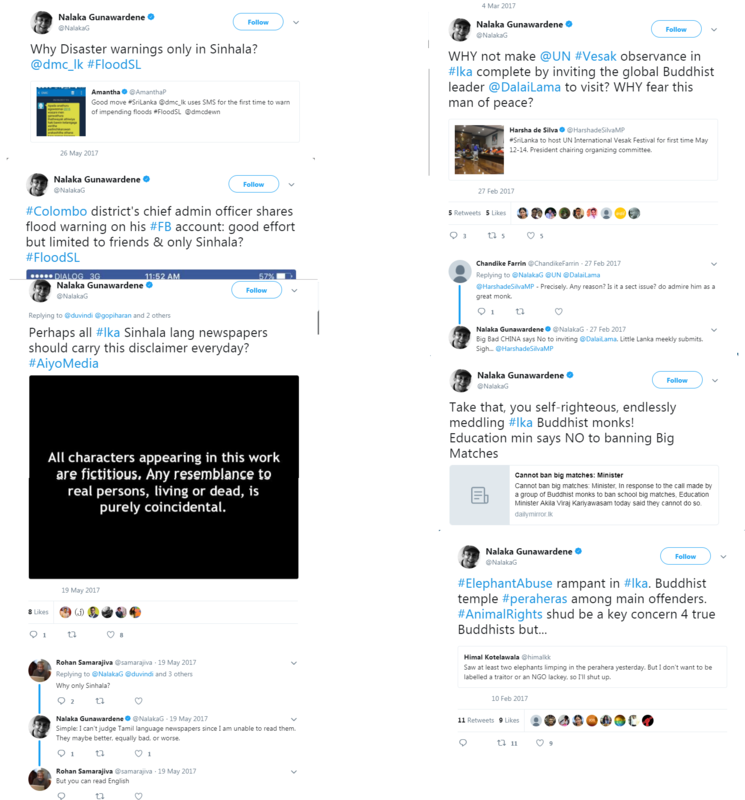 Click the following links for the full compilation.